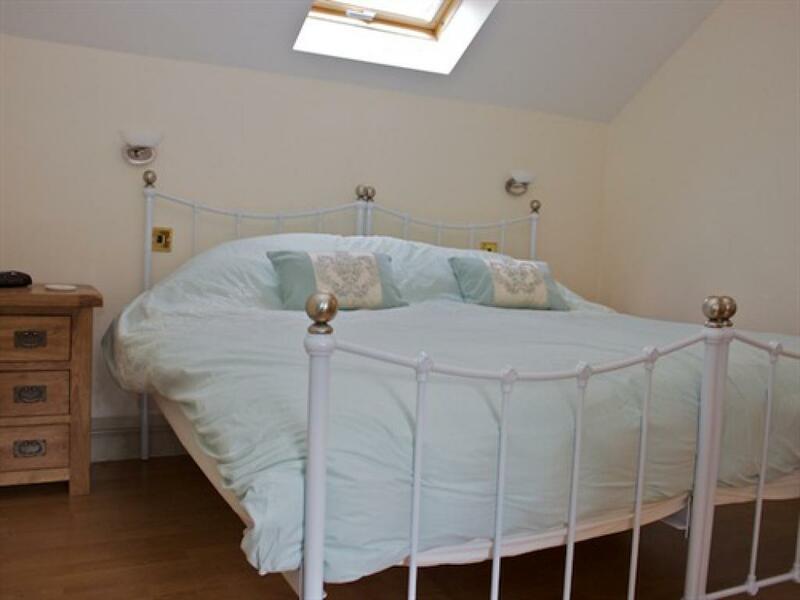 This double room is located on the ground floor of the adjoining coach house. 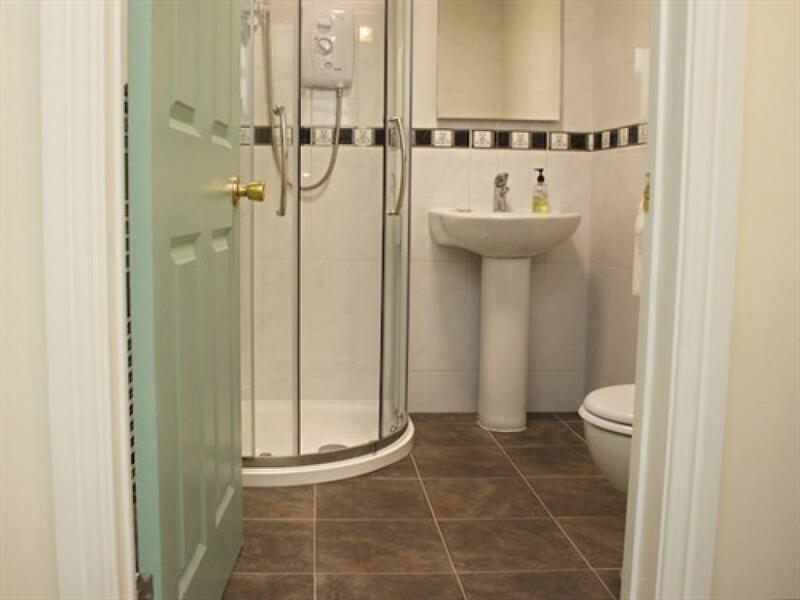 It has an en-suite shower room (with walk-in shower) and an additional dressing area. 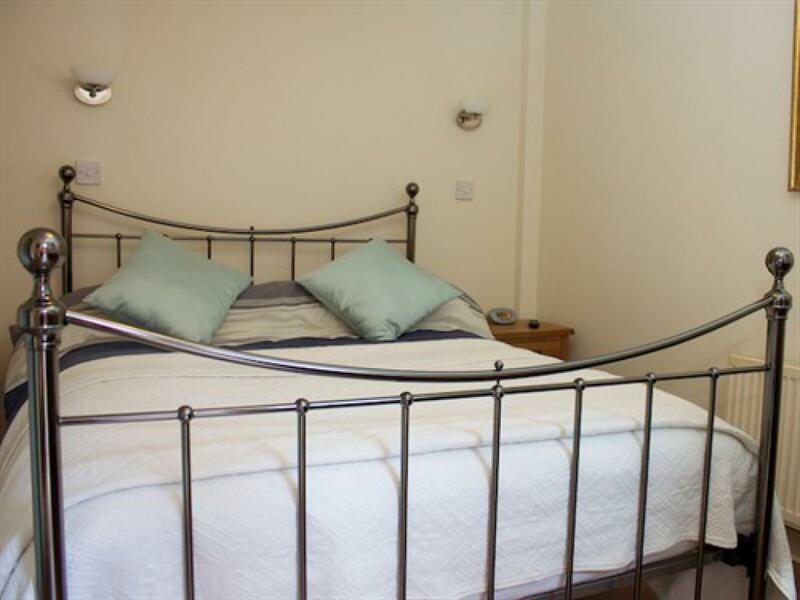 Comfortable metal frame double bed. 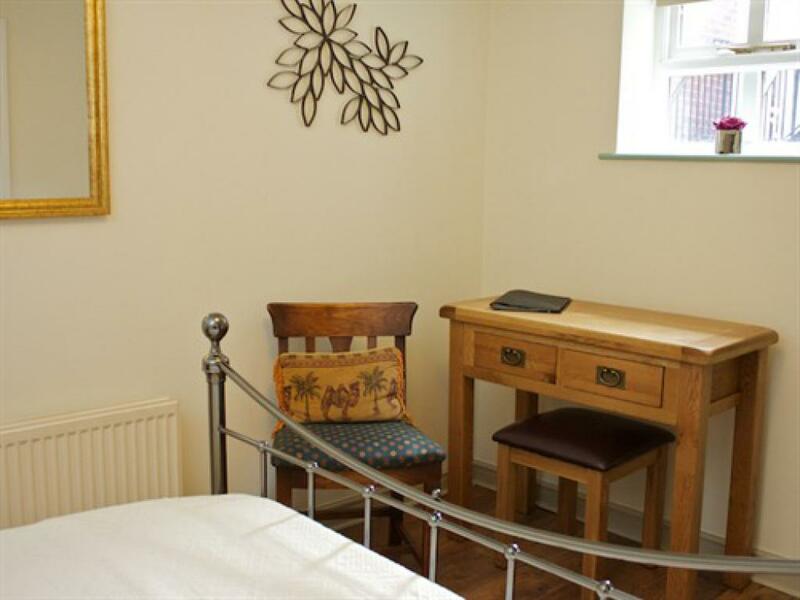 Flat screen colour TV/DVD player, writing table/desk and chair, tea and coffee tray, hairdryer, complimentary toiletries, fresh towels, radio alarm clock. Iron and ironing board on request. Free Wi-Fi. Free off-road parking. 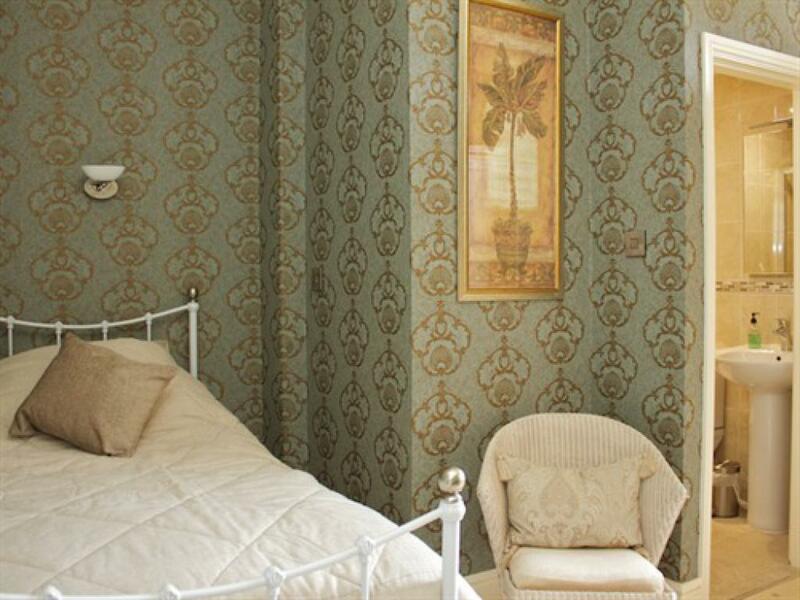 This room is found on the ground floor of the adjoining coach house. 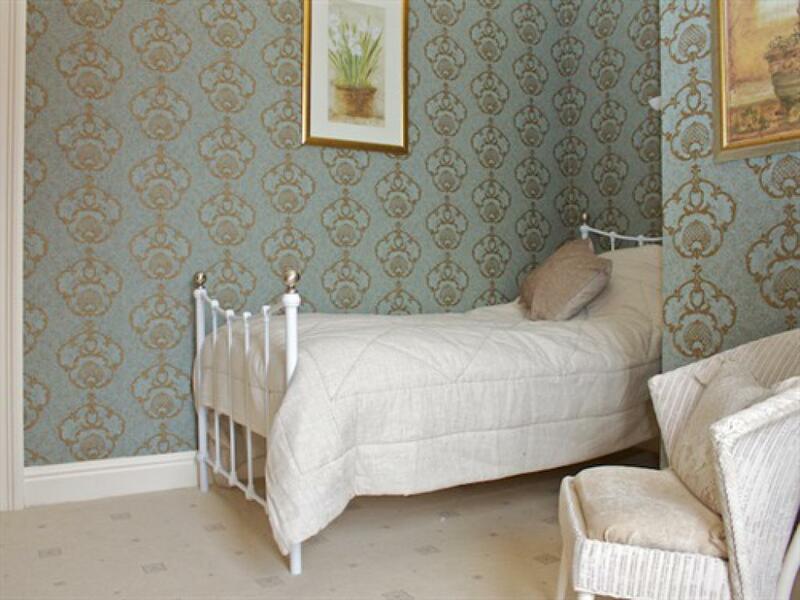 It has been refurbished and has an en-suite shower room (with walk-in shower) and additional dressing area. Facilities include two comfortable metal frame single beds. 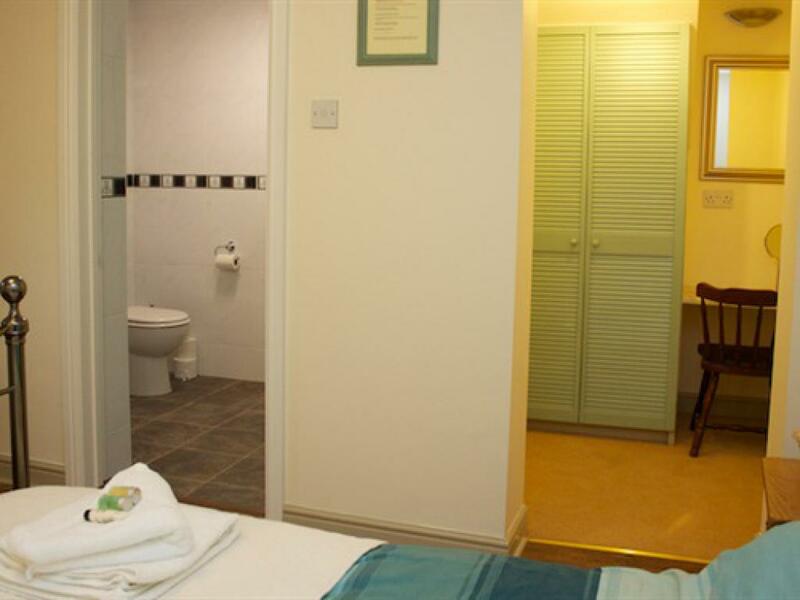 The room also has a flat screen colour TV/DVD player, tea and coffee tray, complimentary toiletries, fresh towels, radio alarm clock. Iron and ironing board on request. Free Wi-Fi. Free off-street parking. 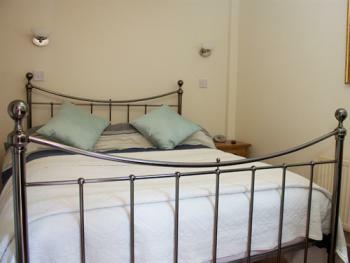 Newly refurbished accommodation extending over the first floor of the coach house. 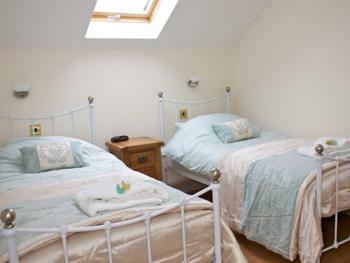 It comprises a bedroom with twin metal frame single beds (which can be combined to make a 6ft superking size bed on request), private lounge, additional dressing area and en-suite shower room (with walk-in shower). 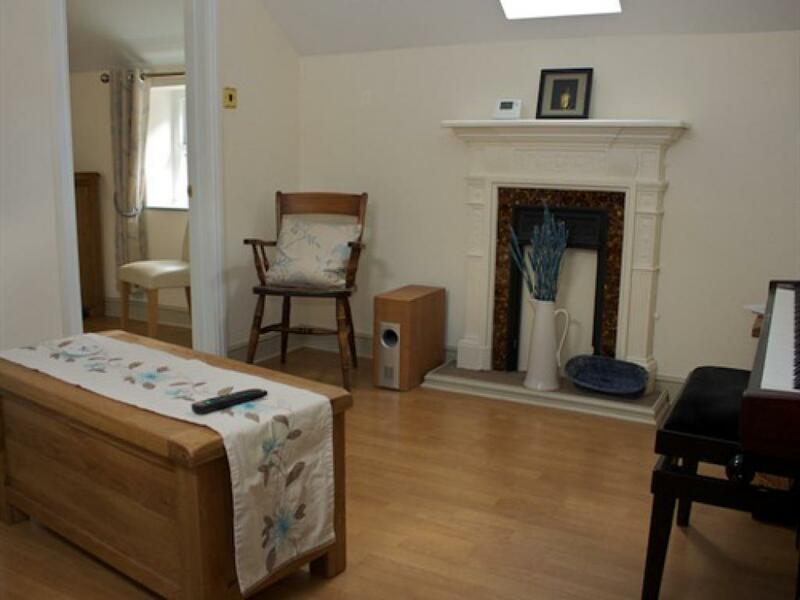 The lounge has a sofa bed that can be used as a 4ft bed to accommodate a third person. PLEASE NOTE: Any children should be least 10 years of age. 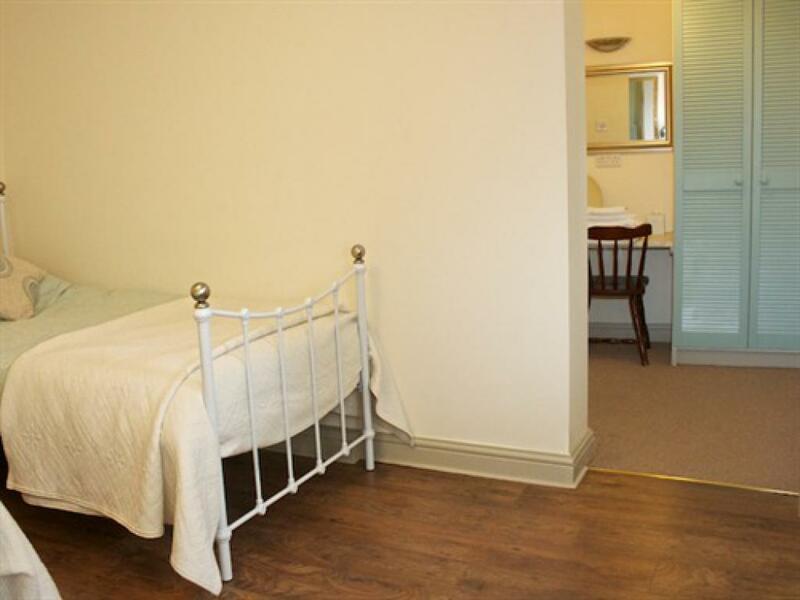 Facilities include a flat screen colour TV/DVD player, tea and coffee tray, complimentary toiletries, fresh towels and radio alarm clock. 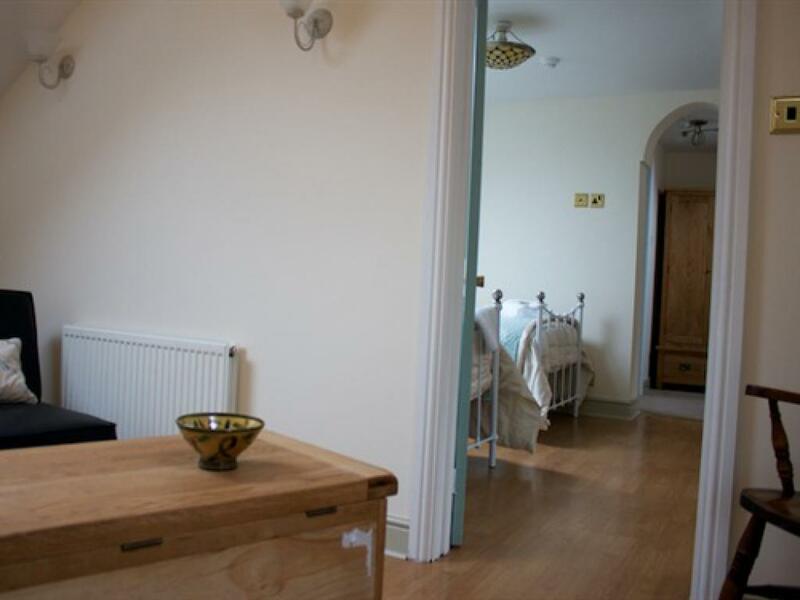 Iron and ironing board on request. Free Wi-Fi. Free off-street parking. 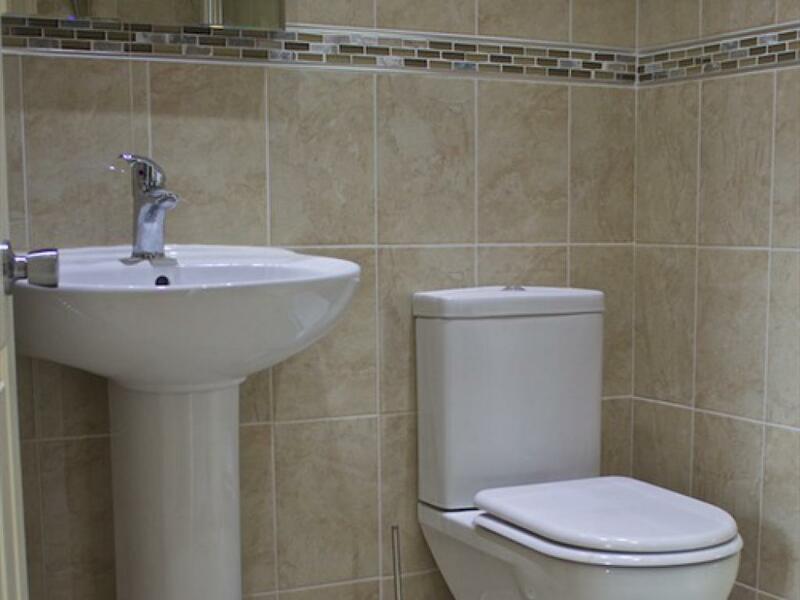 Our single en-suite is located on the first floor of the main house. 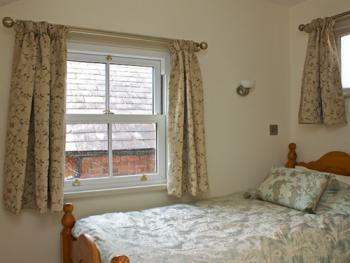 It has recently received a full refurbishment and upgrade with new ensuite shower room and stylish decor and furnishings. 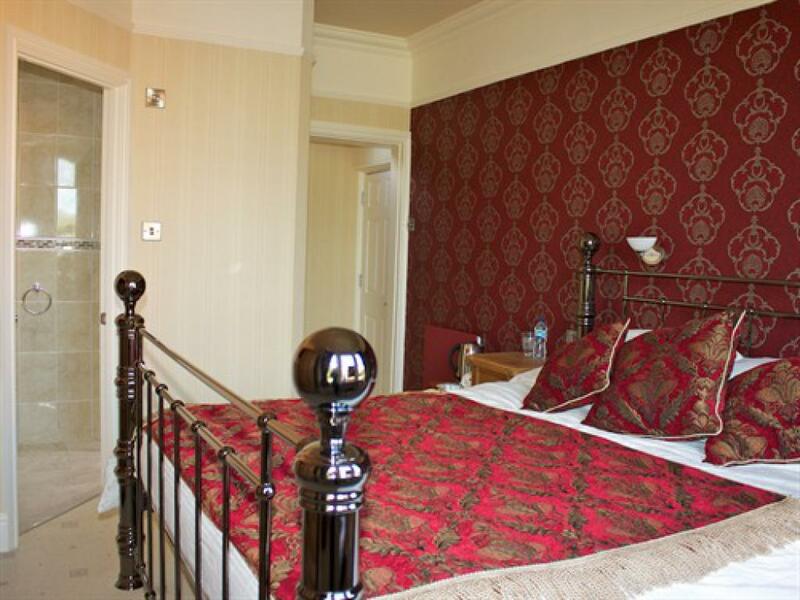 The bedroom has a flat screen colour TV/DVD player, radio alarm clock, tea and coffee making facilities, hairdryer. Iron and ironing board on request. Free Wi-Fi. Price includes breakfast. This double en-suite is located on the first floor of the main house and has been refurbished and upgraded with a superking size (6ft width) bed, sumptuous decor and furnishings and new en-suite shower room. 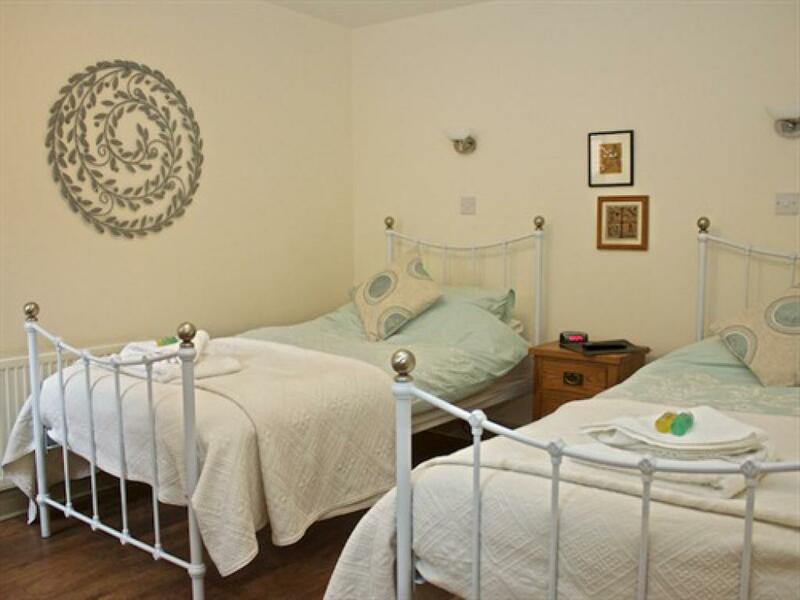 Included in the room is a colour flat screen TV, DVD player, tea and coffee making facilities, complimentary toiletries, radio alarm, hairdryer, free Wi-Fi. 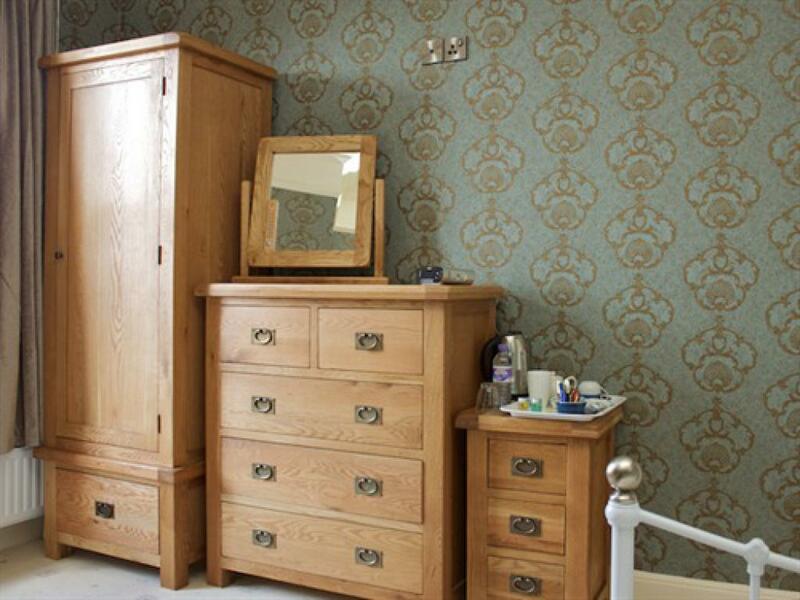 Iron and ironing board available on request. Price includes breakfast. This cosy single room is in the main house and has its own private facilities (shower, wash basin and toilet) in a separate room next door to the bedroom. 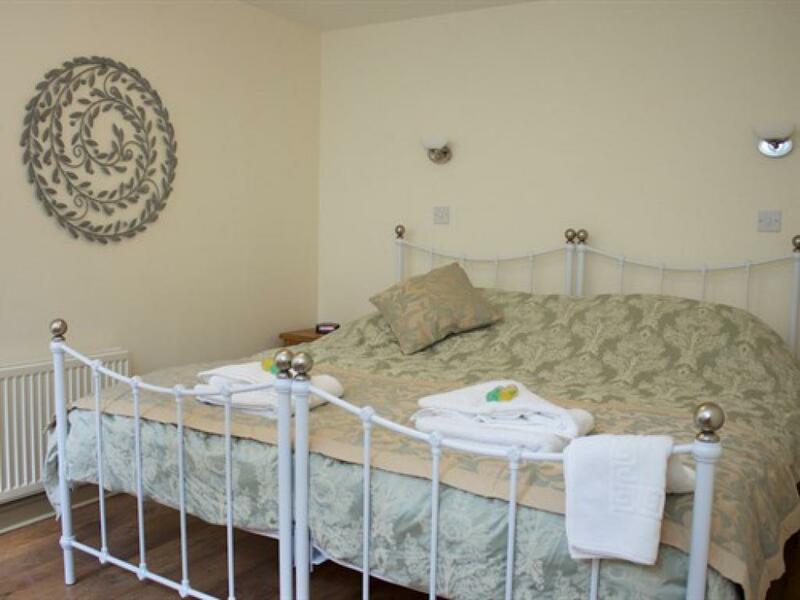 The bedroom includes wall-mounted flat screen TV with built-in DVD player, tea and coffee tray, complimentary toiletries, fresh towels, built-in wardrobe with sliding mirrored door, radio alarm clock, hairdryer. Access to free Wi-Fi. Iron and ironing board on request. 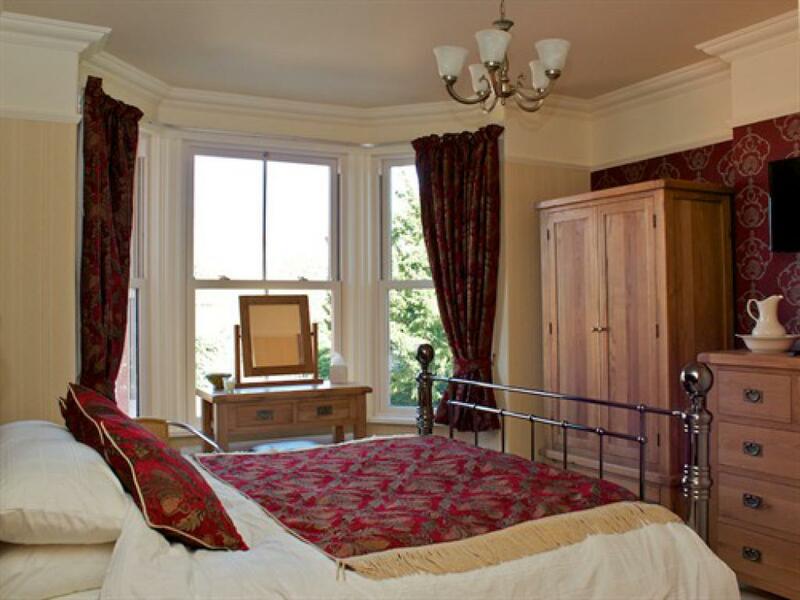 Full English breakfast included in price.